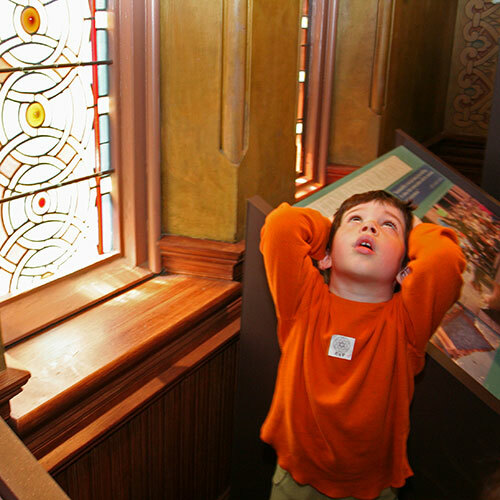 Bring your budding artists, designers, and mathematicians to investigate the shapes, patterns, and colors of the glorious Eldridge Street Synagogue. Armed with clipboards and clues, young explorers hunt for shapes, identify patterns, and create colorful designs of their own. Young writers turn discoveries into words and words into poetry as they use our building as inspiration. This program can be customized to suit your classroom, including an optional publishing party at the Museum! Walls don’t talk but buildings do tell stories. 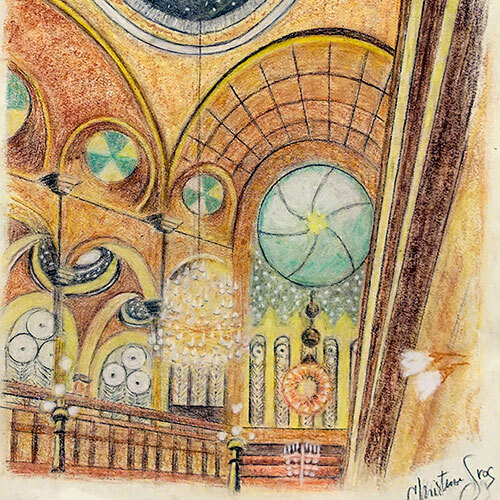 What do the architecture and design of the Eldridge Street Synagogue reveal about the building’s fascinating past? 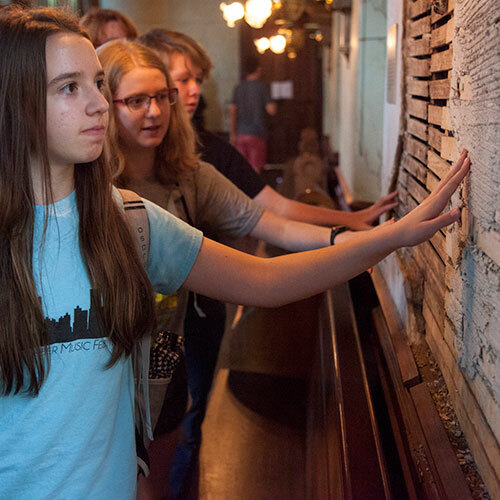 Decipher clues about immigrant life, discover evidence of decades of decline, and find out how a 19th century synagogue became a 21st-century treasure. Our landmark can help solve real-life geometry puzzles. 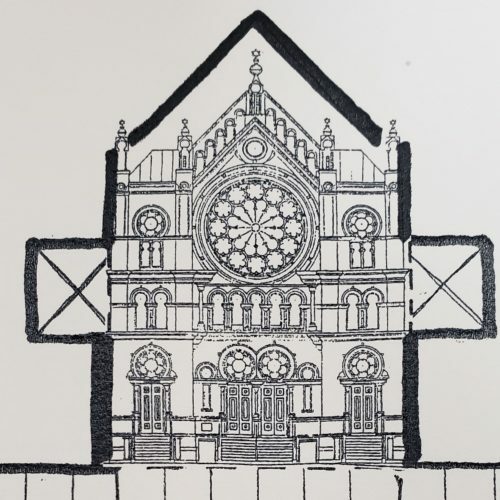 Utilizing prisms and volume formulas, students will calculate if historic congregants had more space in their synagogue or in their tenement homes.